Take advantage of the extra space that a tent business card offers by expanding information you provide to the holder. Offer a coupon or discount, make a list of products or services, include a map to your location or make a punch card to utilize the space! 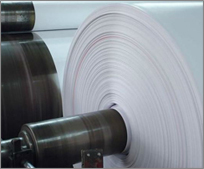 Pricing varies based on order method, paper type, backside printing, coatings, etc. 4" x 3.5" (Standard) - Scored to 2" x 3.5"
6" x 4" - Scored to 3" x 4"
7" x 4.75" - Scored to 3.5" x 4.75"
8" x 5.5" - Scored to 4" x 5.5"
8" x 6" - Scored to 4" x 6"
8.5" x 6" - Scored to 4.25" x 6"
9" x 6.25" - Scored to 4.5" x 6.25"
10" x 7" - Scored to 5" x 7"
11" x 8.5" - Scored to 5.5" x 8.5"
3 Additional Business Days -- Recycled & 16pt Matte Papers and for quantities 10,000 or greater.